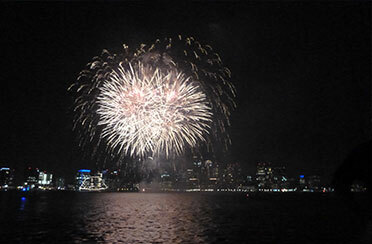 Join us for a Newport Harbor Fireworks Cruise on one of our luxury boats! 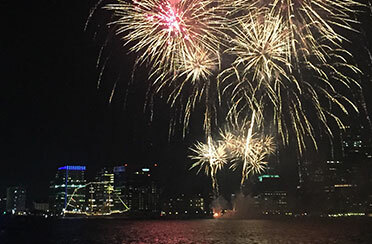 We all know it is magical to be on a boat in Narragansett Bay but what is even more magical is taking in a breathtaking display of fireworks on a classic yacht. 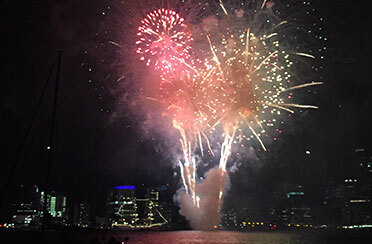 Sit back and relax and watch the colors and sounds of pops, crackles, and sizzlers explode in the sky above Newport. Cruise through the shimmering harbor waters and out into the peaceful darkness of the night. 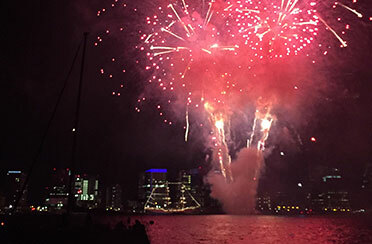 Grab your friends for a special boat ride at night or come hand-in-hand with a loved-one for a dazzling evening. 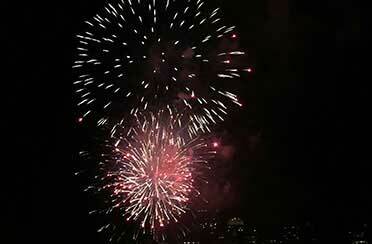 Celebrate our nation’s Independence on the 4th of July in Narragansett Bay, or have fun with the Jamestown fireworks. 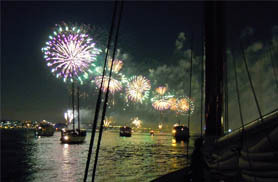 So step aboard Schooner Adirondack II or Sloop Eleanor for an evening that will be sure to be a lasting memory.